Game. Set. Match. ABC has announced new panelists for their Match Game reboot, Buzzerblog reports. 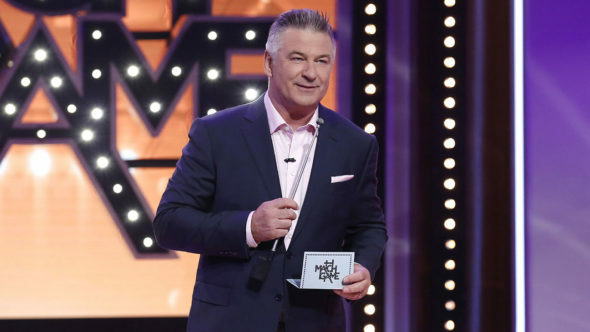 Hosted by Alec Baldwin, the game show premiered this past Sunday alongside the network’s revival of The $100,000 Pyramid. Along with Sarah Palin, new panelists will include Cheryl Hines, David Alan Grier, Ellie Kemper, Ike Barinholtz, Josh Charles, Leah Remini, Niecy Nash, and Sheryl Crow. Match Game airs on Sundays at 10 p.m. ET on ABC. What do you think? Did you watch the premiere of Match Game? Will you continue to watch the game show? More about: ABC TV shows: canceled or renewed?, Match Game (2016), Match Game (2016): canceled or renewed? Glad to see the show back on the air… Love the risqué questions and adult tone! The show will be even better when they get rid of the snide political comments…. HOPEFULLY!!! I love the 70’s version of Match Game. I know it is hard to find a host with Gene’s charismatic humor, but sorry Mr. Baldwin you don’t have it. I think the perfect host for this show would be Jon Stewart. I also think they need to clean it up! Too many adult tones to it. No. thats what makes it an amusing show to watch because the actual questions are ridiculously simple/stupid, the adult commentary behind it all is what makes us adults laugh. “what about the kids” no one cares about the kids. They have cartoons and the internet to keep them busy. If they are too old for cartoons then they should already have a sense of adult humor. I like the show and am glad to see it back on TV. No offense to Mr Baldwin, but would like to see a different host. I watched the old Match Game and I love the new Magic Game. It’s fun adult comedy for after prime time tv. It’s the only show on Sunday night tv I look forward to seeing. Alec Baldwin is good to, quick with come backs. Keep it as it is!!! I was excited to watch the new Match Game version. After 10 minutes I switched to another channel. Will not watch again. Love that the old shows are being revamped and love Sunday Fun night.Celebrity Feud / Harvey is great. Pyramid / Strahann is great. But tho I loved the original Match game, the new one is obscene and not fit for TV. Will not watch it again-unless they clean it up. The original had “some answers that had a little naughty innuendos, but this show is just plain filthy. Love the show, but not Alex Baldwin, let him go and get someone with real personality! I really liked Gene Rayburn and the original show and was looking forward to seeing it come back. Alec is a good host but I do not plan on watching it again. It’s a game show and not a platform for more political bashing. What a shame we can’t just have an enjoyable show to watch again. Bye Felicia!